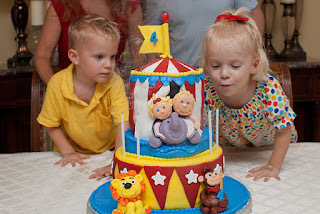 I've been wanting to do a circus party for a while now, but I waited until this year because several months ago, we took the kids to the circus for the first time. 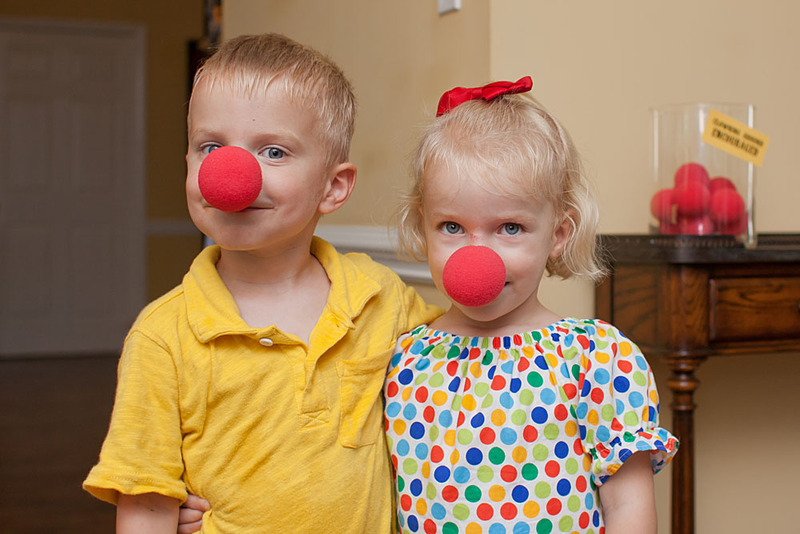 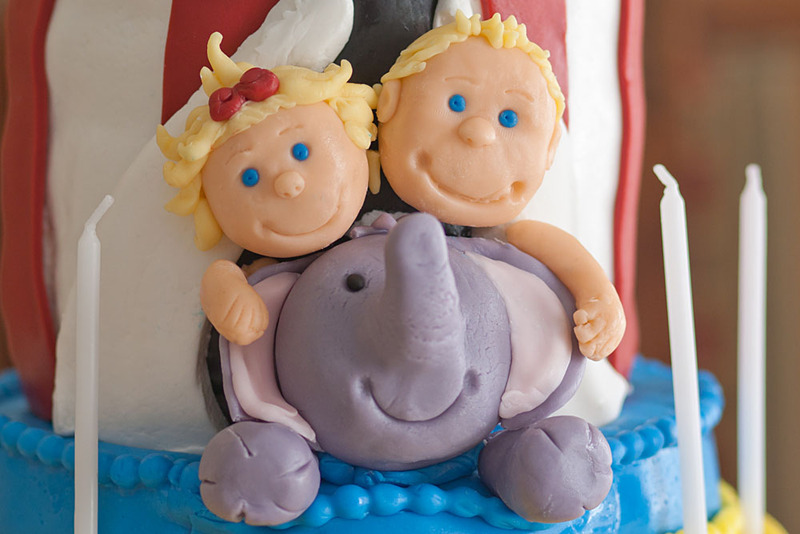 Now that they've actually experienced a circus, we were full speed ahead for the circus party! 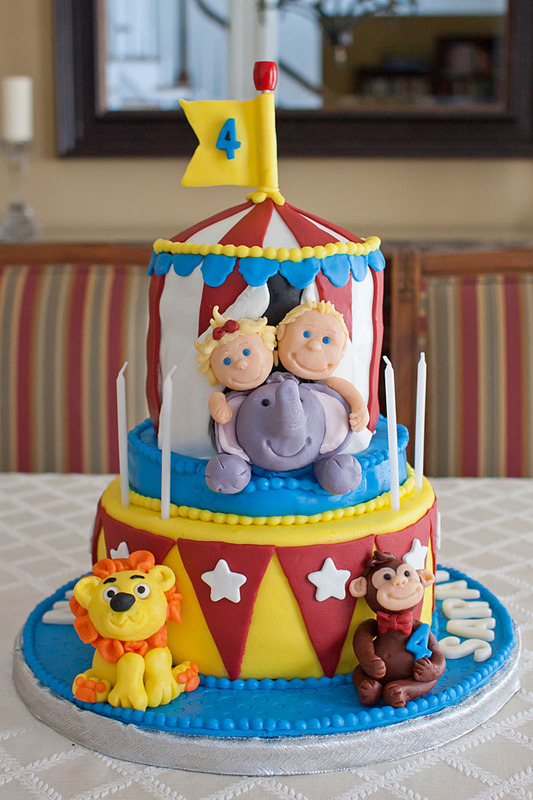 The cake, made by my mom, was the centerpiece. I love it! The animals were adorable, and the miniature Sweet Pea and Little Man peeking out were perfect right down to their hairstyles (note that Sweet Pea was actually wearing a red bow on top of her head during the party -- a complete coincidence!). 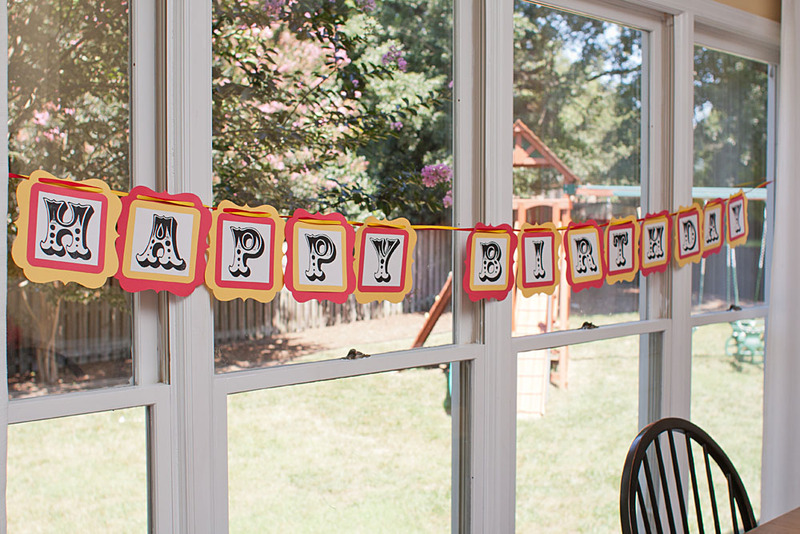 All the decorations were yellow and red. 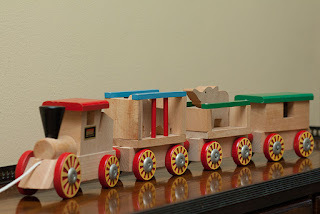 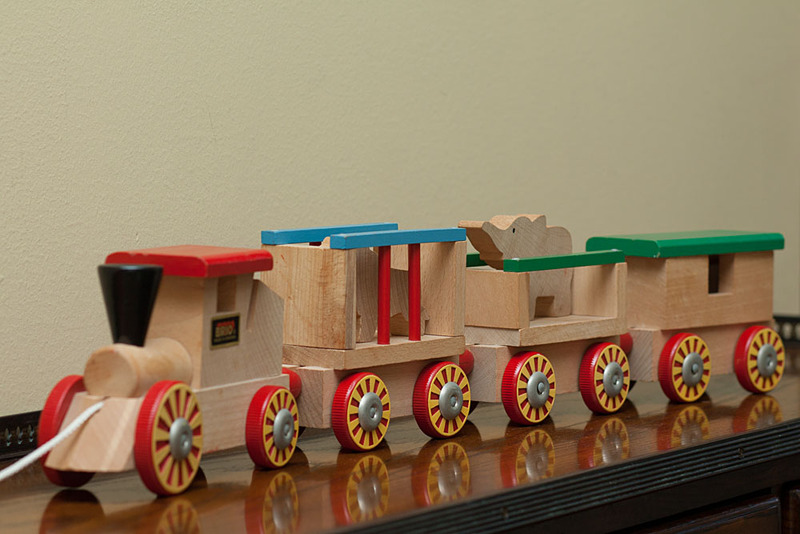 A huge thank-you to Grandma, who shipped us the awesome circus train that used to be MJ's. The kids have been playing with it non-stop! 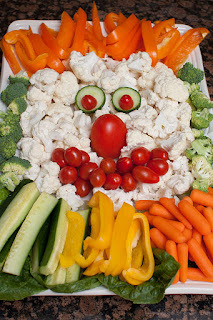 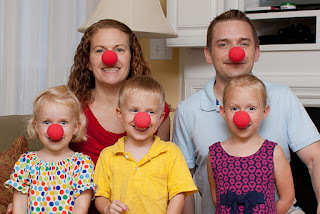 The clown noses were a particular hit. 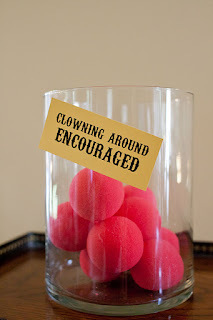 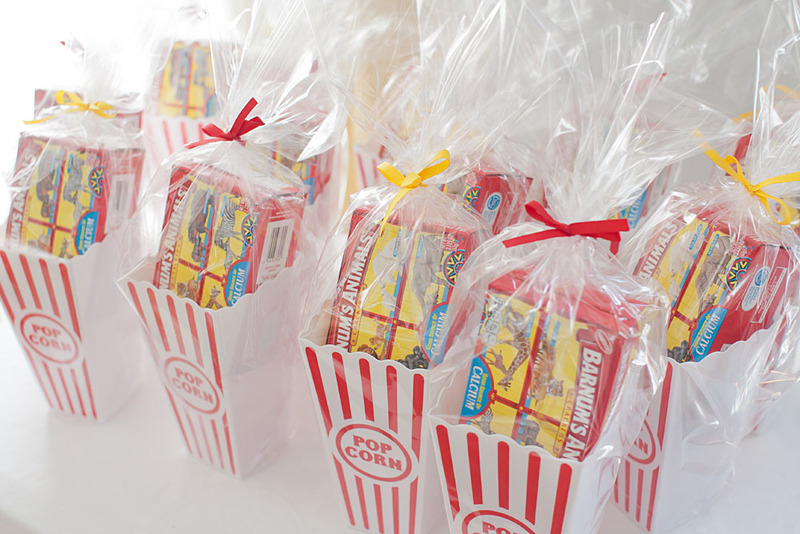 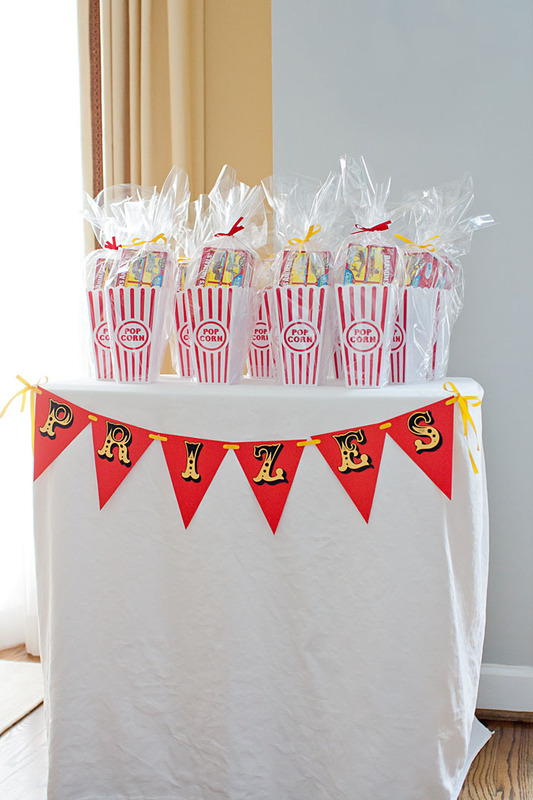 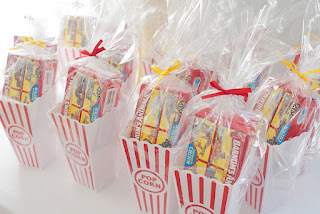 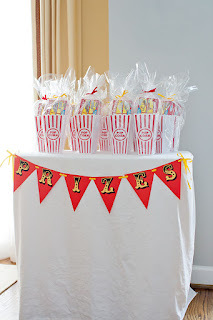 The "prizes" (favors) were plastic popcorn tubs filled with circus peanuts, clown noses, and animal crackers. 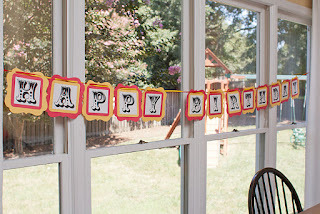 Simple and inexpensive, but I love how they turned out! 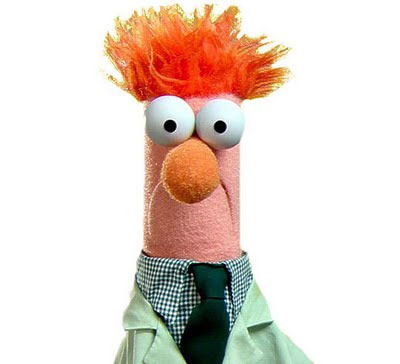 ... but I think it ended up looking more like Beaker! 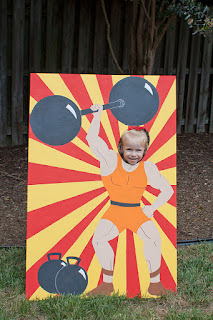 I painted three large boards for outdoor decorations. 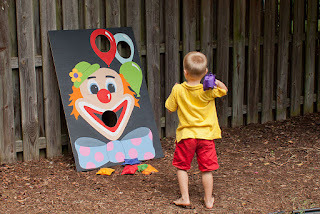 Little Man's favorite was the clown face bean bag toss. Sweet Pea made the perfect strong man! And CC -- naturally -- loved the lion tamer in her pink leotard. 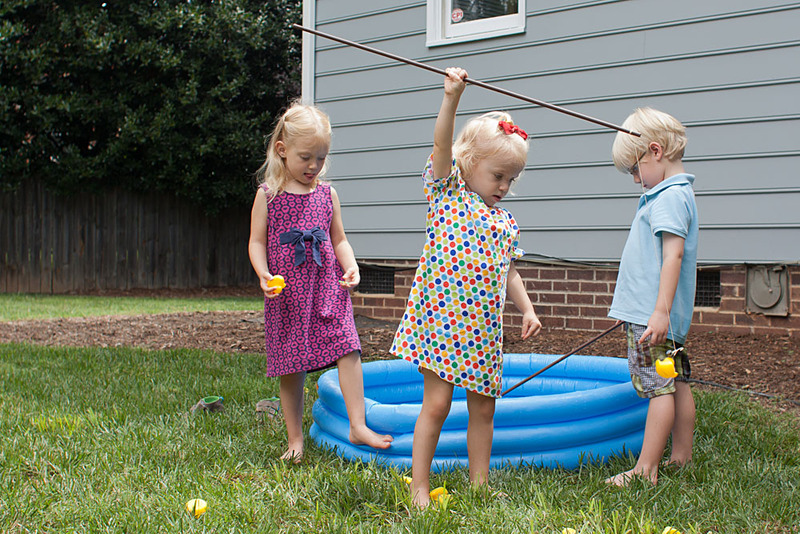 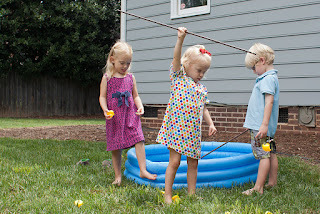 I also had a duck pond, but the fishing poles kept getting tangled. It was a mess, but the kids had fun. 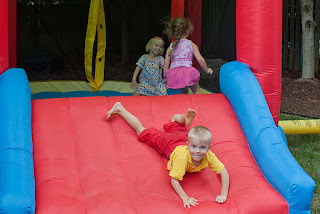 Fortunately, the bounce house is always a big hit! 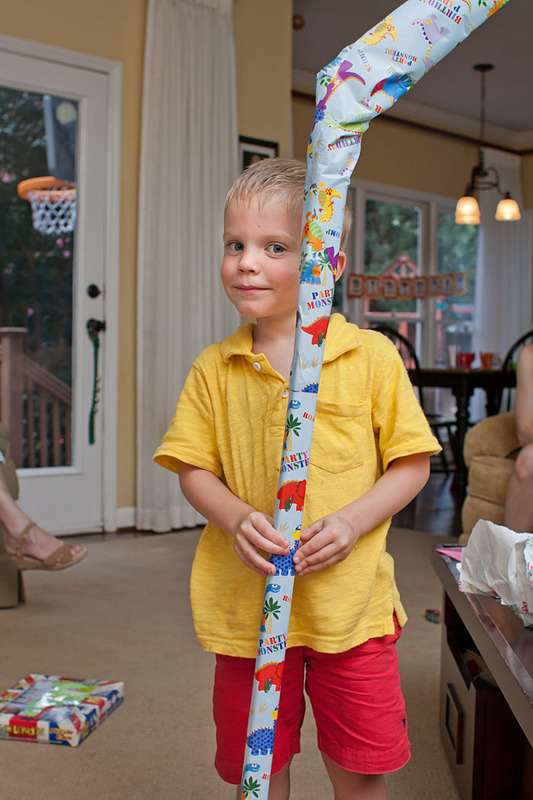 Aunt Karen wins the award for best gift wrapping. I wonder what this is?! 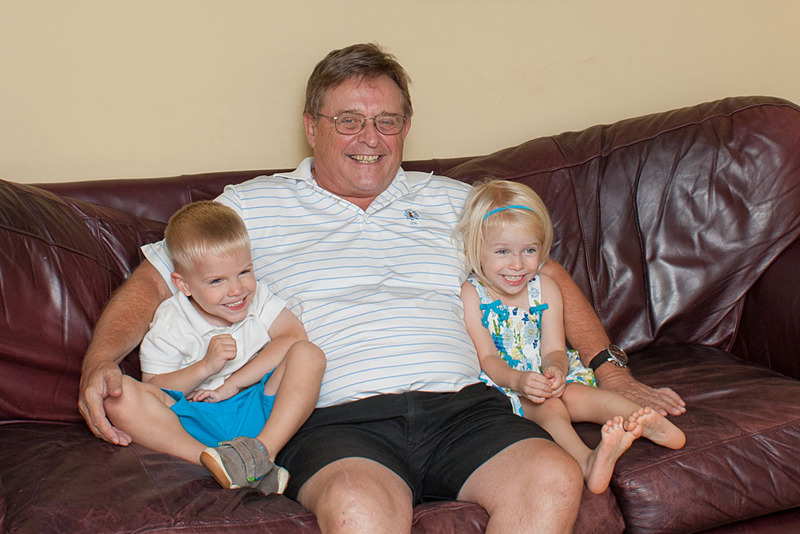 Grandpa wins the award for traveling the greatest distance to come to the party. We're so glad he was there! 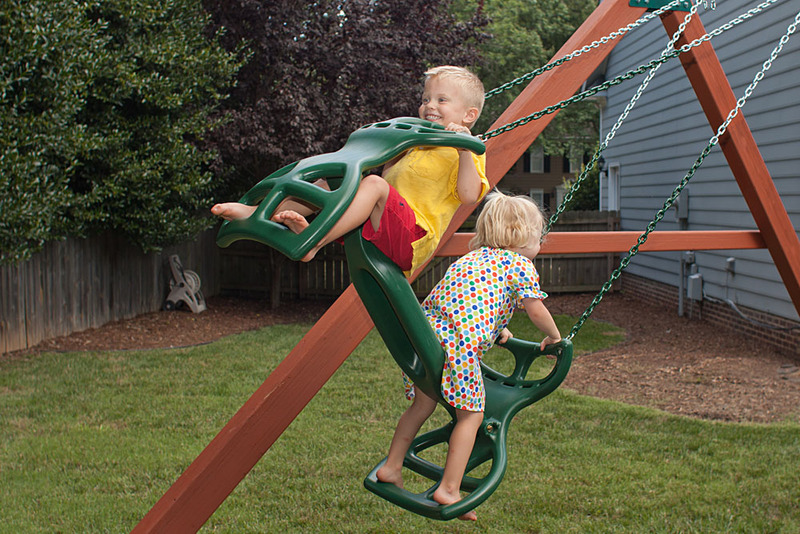 And the final big thank-you goes to my dad, who helped me get up on a ladder and hang the horse swing. 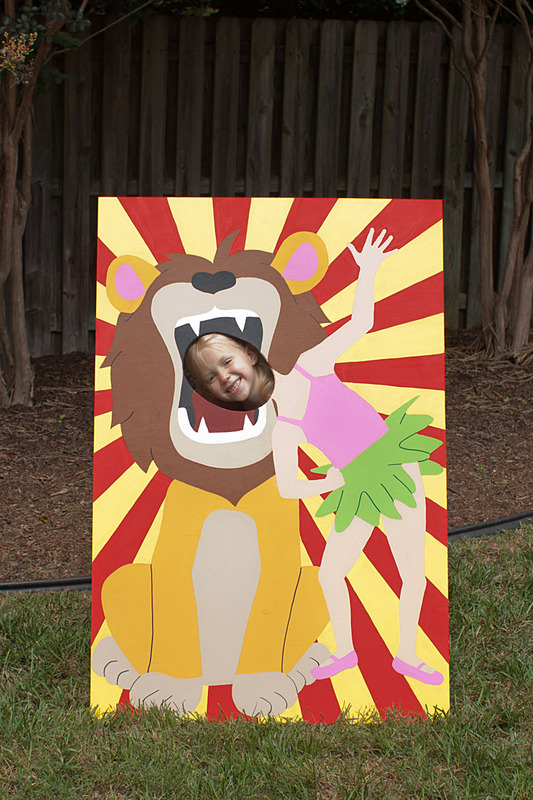 And who also fixed the strong man and the lion tamer when they kept falling down.